While emerging corporate cloud applications aim to make businesses more productive, the sheer volume of all the different apps makes it difficult for companies to keep everything organized and everyone involved. Scott Kriz and Erik Gustavson created Bitium as a solution for companies that want a better way to manage these applications across teams of employees. 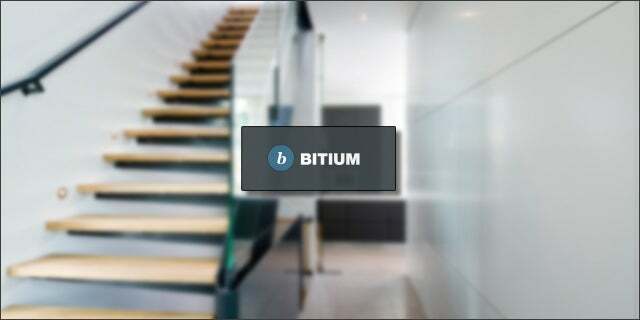 Bitium allows companies to house their social networks, CRMs, accounting programs, marketing tools, and other applications under one interface, with one password. It allows the user to work more effectively, individually and as a group. However, the real benefit for companies is in the ability to oversee the progress of company projects and the applications’ usage. Through Bitium, execs and managers can give customized access to these applications to their team without giving them their passwords. Bitium makes it possible for managers to delegate access and usage through one interface. This gives them real-time feedback about their employees’ usage. And it allows employers to better delegate and collaborate with their team, all through one screen. “Companies increase security, efficiency and control by managing corporate cloud apps in one place,” say Kriz and Gustavson. Instead of using corporate IT software, Bitium is a tool that is user-focused that makes it easier to implement and sustain delegated application access for project leaders, managers, and executives alike. With all the applications cluttering the corporate cloud, Bitium fills a real void for application management. Bitium not only makes it easier for individual users to access and collaborate on different applications through one screen, but also for delegation and management of those individual users. Finally, the benefits of those services as software applications can be harnessed through the all-in-one manager Bitium. Bitium was a showcased startup at our Tech Cocktail Los Angeles mixer in March.